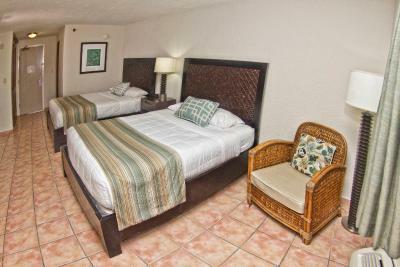 Lock in a great price for Rincon Beach Resort – rated 8.5 by recent guests! Loved the location and the view from our hotel room. The beds are really comfortable, I love it and want to go back again really really soon!!! Staff was really friendly and the restaraunt was amazing. The hotel accomadated our early check in and allowed us to enjoy the facilities while we waited for our room. 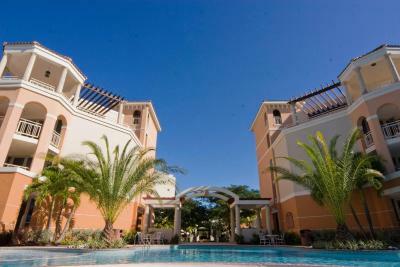 The resort is very nice also the pool and the price. 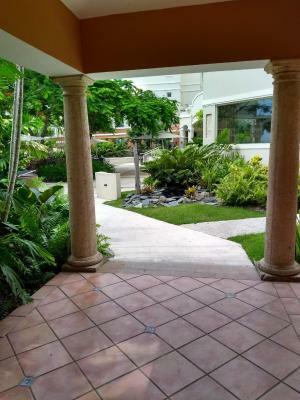 Pool, reception area, beds, private patios. Staff very attentive. 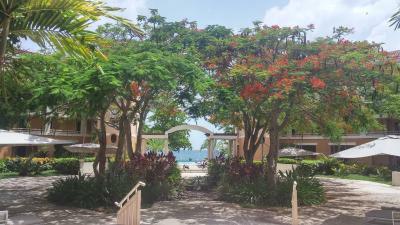 Resort building and beach/pool were really nice, good mix of traditional architecture and open spaces to enjoy the gardens, pool, and beach. 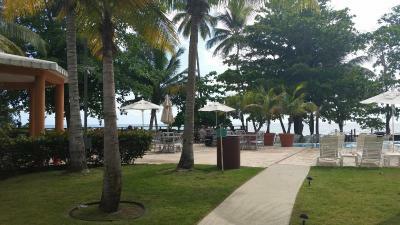 Nearby town of Rincon and several restaurants, bars, local stores. Very nice pool with bar and easy access to beach, also a ping pong outdoor table. The hotel is overall cute and exactly what we needed for a few days away. This is a small hotel with limited facilities. The room was comfortable and the AC worked well. 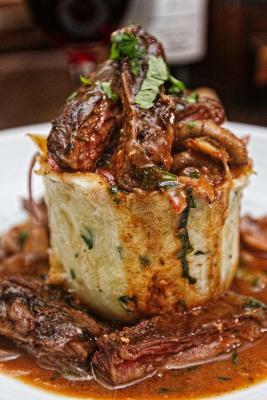 The staff were very friendly and go above and beyond. 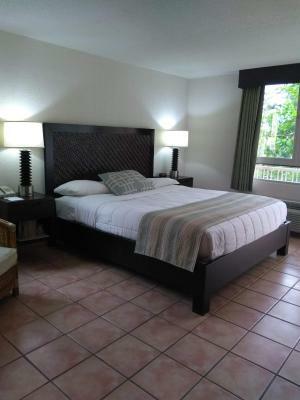 Rincon Beach Resort This rating is a reflection of how the property compares to the industry standard when it comes to price, facilities and services available. It's based on a self-evaluation by the property. Use this rating to help choose your stay! 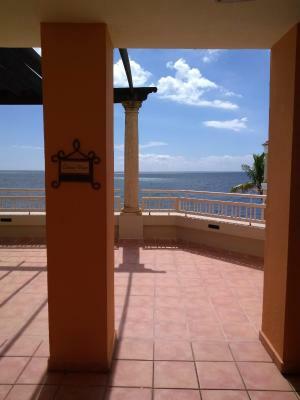 One of our top picks in Rincon.On Añasco Bay, Rincon Beach Resort offers amazing Caribbean Sea views. 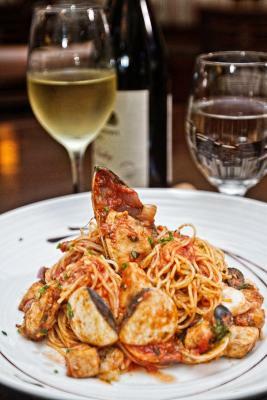 It features a fine dining restaurant and attractive rooms with seating areas. 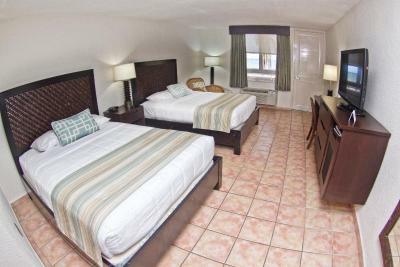 The Rincon Beach Resort has bright, attractive décor with tiled floors. 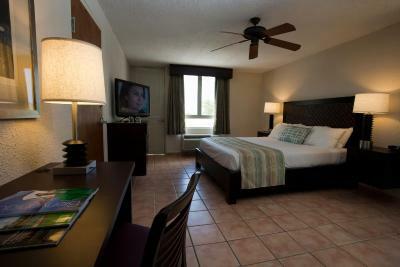 All air-conditioned rooms have a flat-screen TV and a fridge. 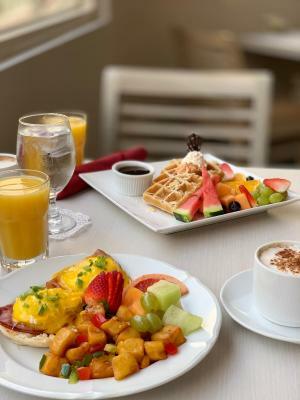 Breakfast is served in the Brasas Restaurant, which offers Caribbean and Mediterranean dishes for dinner. 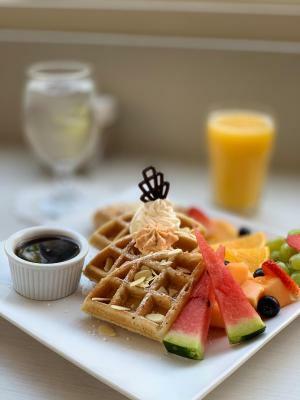 By the pool, the Pelican Beachfront Grill serves light snacks and cocktails. 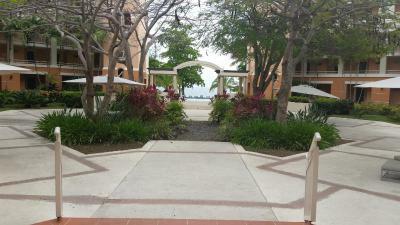 The Rincon Resort can arrange watersports including scuba diving, kite boarding and surfing. The nearest golf club is a 30-minute drive away. The famous phosphorescent lake, La Parguera, can be reached in 50 minutes by car. Eugenio Maria de Hostos Airport is 5 miles away. 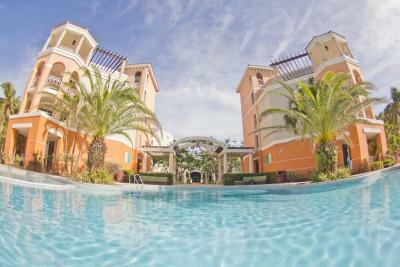 When would you like to stay at Rincon Beach Resort? 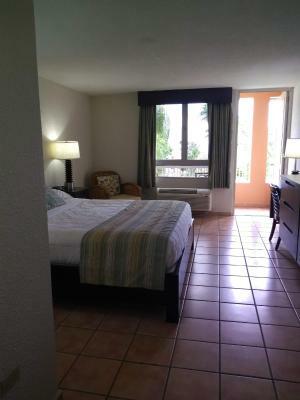 This air-conditioned room has bright, attractive décor with tiled floors. It features a sitting area, a flat-screen TV and a fridge. 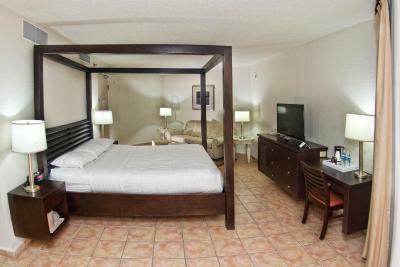 This air-conditioned room has bright, attractive décor with tiled floors. It features a sitting area with garden or partial sea views. There is a flat-screen TV and a fridge. 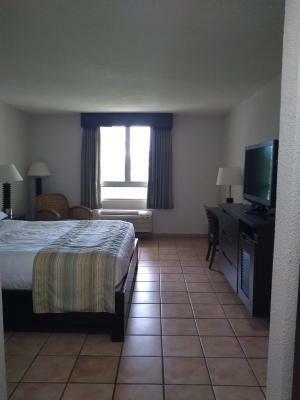 This air-conditioned room has bright, attractive décor with tiled floors. 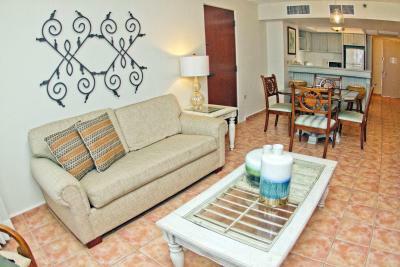 It features a sitting area with a balcony, a flat-screen TV and a fridge. 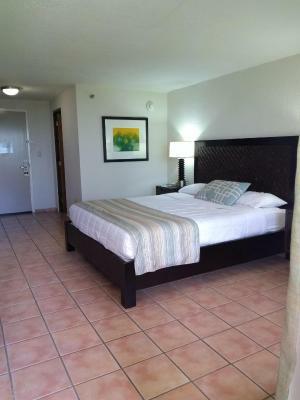 This air-conditioned room has bright, attractive décor with tiled floors. It features a sitting area and a balcony with sea views. There is a flat-screen TV and a fridge. 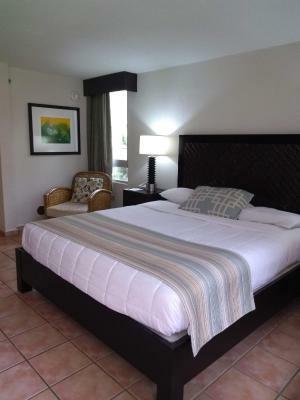 House Rules Rincon Beach Resort takes special requests – add in the next step! Rincon Beach Resort accepts these cards and reserves the right to temporarily hold an amount prior to arrival. The staff needs a little more training on how to treat guests, specially those at reception desk. I did not have breakfast at the hotel. The location is great. The beachfront isn’t that cool. 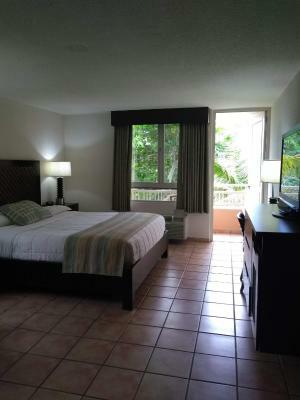 the open spaces were very nice and the room was good. Great view from my room. The rooms were outdated and the juniot suite wifi did not work. The jacuzzi took 2 hours to fill up and there was no glassware or cups. It is deteriorated. And it could use a deep clean. Curtains in the entrance from the parking should be removed, they are super dirty. In general the resort needs a to be refurnished and pay more attention to the cleanliness. The pool bar should open earlier. There were many people in the pool since early in the morning and the bar opens at 11 am. People getting sun get thirsty before that. It is a magnificent place. Is just a matter of cleaning and a little redecoration. At night some music is needed to attract the guest, or do some night activity in the beach area. Staff is attentive, helpful, and well trained. Service is good. Lobby and restaurant are in very good shape. Rooms are in need of renovation. Overall exterior of hotel needs attention. Bathrooms are a bit dated. Slippery tubs and no bath mats. Isolated location. Staff should ensure all equipment in rooms is in running order. Staff can be more friendly and helpful. We asked for a wine bottle opener at the front desk and were told they could not help until later in the night when their bar was open (?). Definitely do not like the use of "bands" in the arms to indicate you are a resort guest, especially if you are staying multiple nights. We did not use these all the time and had a security guard stalking us in the pool...not acceptable. They need to figure out a better way to control access to the property if this is a concern. Also tracking the pool towels which we had to count when received and return. Feels like nickle and diming items like a budget motel. Fitness center is small for the number of rooms in the facility. Que no tenia sillas en la playa.